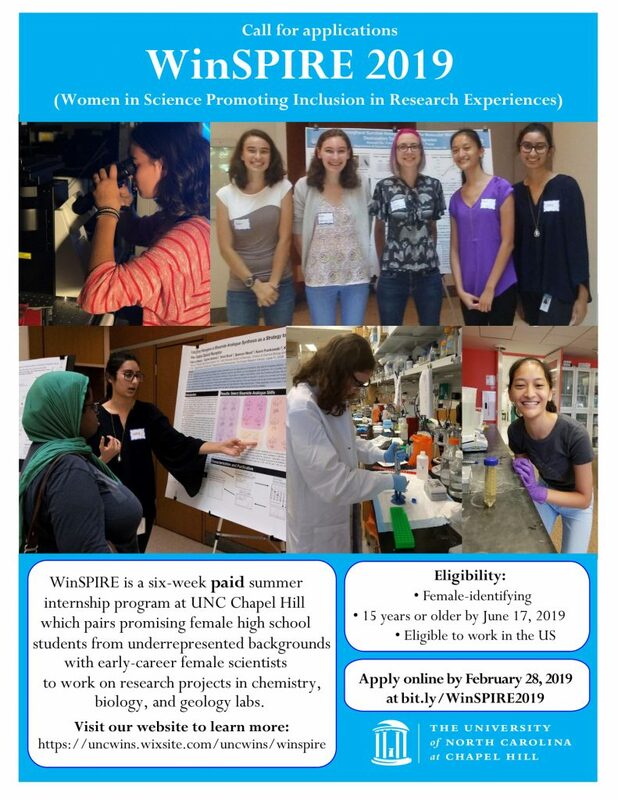 WinSPIRE (Women in Science Promoting Inclusion in Research Experiences) is a six-week-long paid summer internship program that pairs high school women with female early-career scientists to mentor them through a cutting-edge research project in a science laboratory at UNC Chapel Hill. In addition to gaining hands-on research experience and an extensive support network of female scientists, WinSPIRE participants will also learn important career-building skills through professional development workshops. If you think science is cool and would like to see what “doing research” actually means, this is the internship for you!